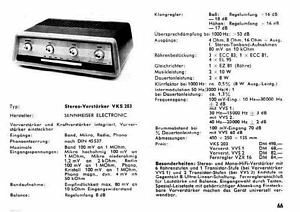 Sennheiser are still famous for their excellent microphones and studio equipment. 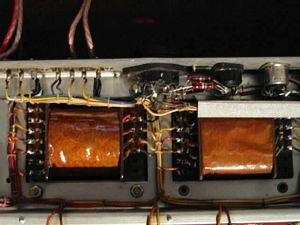 Many vintage amps (as Telefunken, Klangfilm or Siemens) use their high quality microphone input transformers. 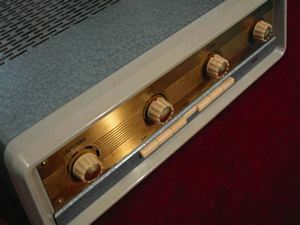 As Telefunken (who used the EL95 in the later version of their V73 studio amp) they only built a very few tube equipped stereo high fidelity units. 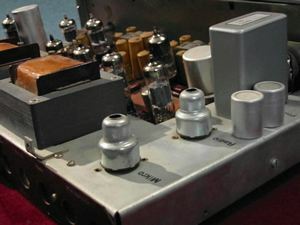 This amp of very high quality (ultralinear OPTs) comes from a joint venture line of the early 60s from Telefunken, Sennheiser and Perpetuum Ebner (PE). 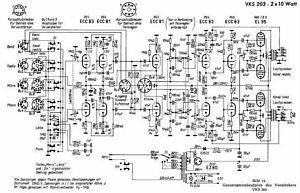 The transistorized RIAA equalizer was optional. 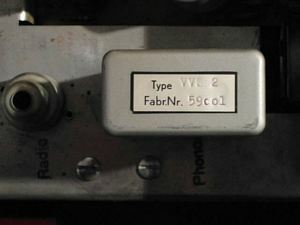 Very good sounding amp when well checked. 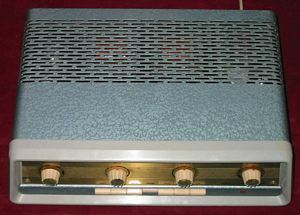 Click here to see a restoration of a Sennheiser VKS 203 and more pictures.